Whether you’re in need of an oil change, being bothered by a warning light, have a top in need of repair or need a complete engine rebuild, our factory trained Porsche technicians will ensure you and your vehicle are treated with the utmost respect and care. All of our Porsche technicians are factory trained with at least 5 years experience. 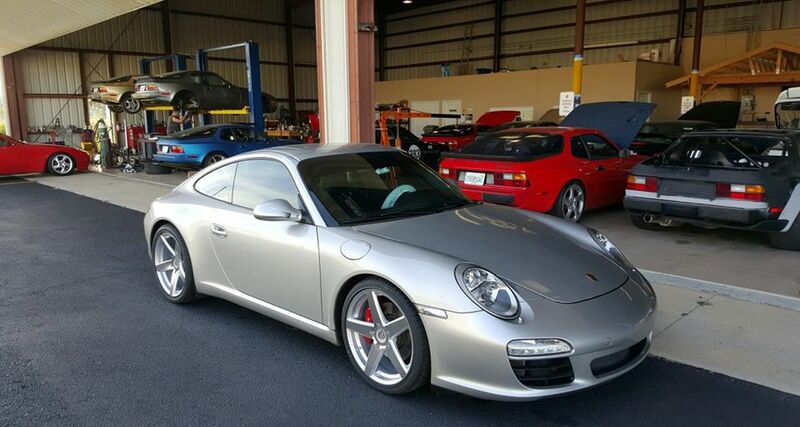 We know that trust is paramount in any industry, and we realize that the trust of the consumer has been taken advantage of by other Porsche repair shops in Jacksonville. Rest assured, that before anything else, our commitment to you is that we will treat you like family and your Porsche like it was our own. Let us restore your faith in the Porsche repair business. We work on all makes and models of Porsches from 1965-2013. Listed below are all makes and models that we work on, I’m sure you’ll find yours listed. Porsche 996 & Boxster IMS Bearings are a common problem and something we are very familiar with. Don’t get taken advantage of by the other Porsche “shops” in Jacksonville. We are the IMS Bearing specialists and can quickly get you back on the road before catastrophic damage occurs. Boxster tops are another thing that plague the owners of these great vehicles. We are experts at repairing these tops and have all of the factory tools required to ensure your top operates like the day you drove it off the lot.